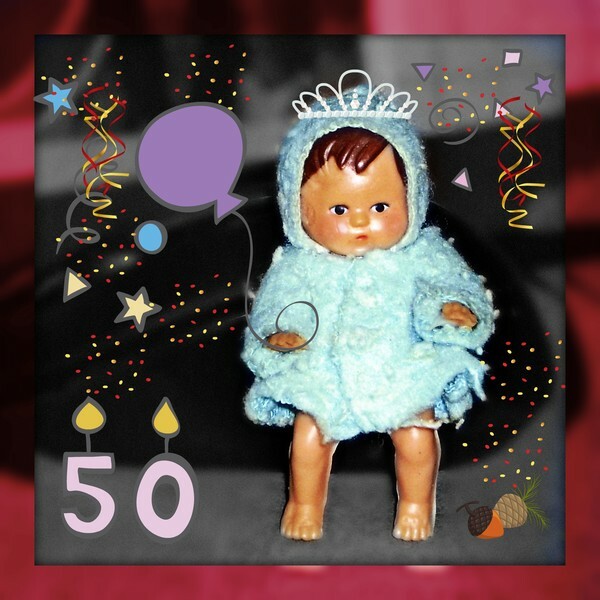 Dollinha turns 50 on February 19, 2012. Dollinha is Ana's online persona. She came up with this name from this tiny little doll. Dollinha is a combination of the English word "Doll" with the Portuguese ending "inha" to make the Portuglish word meaning tiny, cute, doll. Ana is now half a century old.